The High Point Bar at the Four Marks Golf Club played host to the ‘Four Marks Quiz’ organised by Alton Lions to raise funds for netball equipment for the Four Marks Brownie Group. The evening attracted fourteen teams from the village who willingly participated in the tests of knowledge and the traditional raffle, which together raised £400. The evening included a spiced winter vegetable soup with bread rolls and cheese provided from the soon to be finished new kitchen at the High Point Bar. 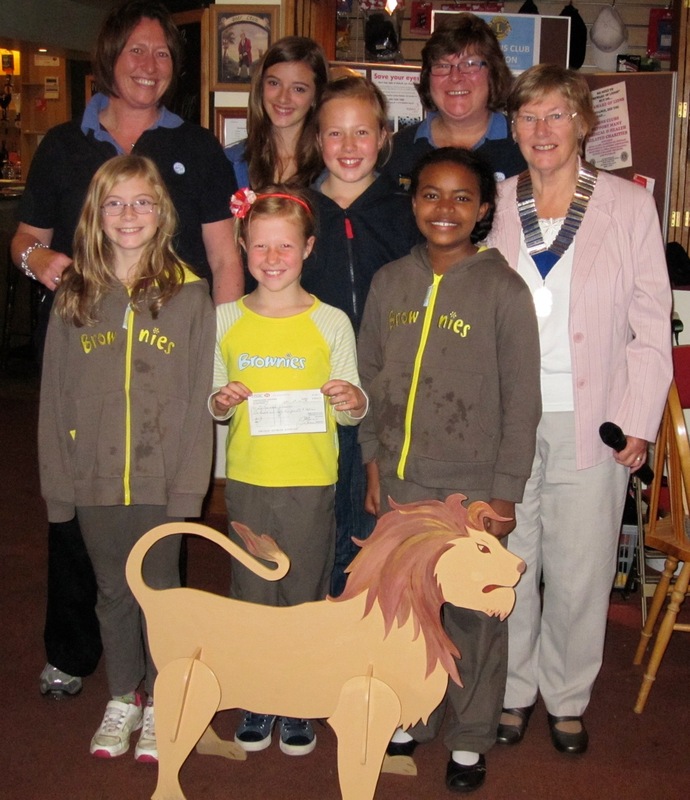 The pictures show Four Marks Brownies led by Gwen Clifford and Corrina Tomlinson together with Brownies Holly Tomlinson, Imogen Clifford, Ruth Morales, Lilly Tomlinson and Joanna Clifford receiving their cheque from Alton Lions President Sarah O’Donoghue. 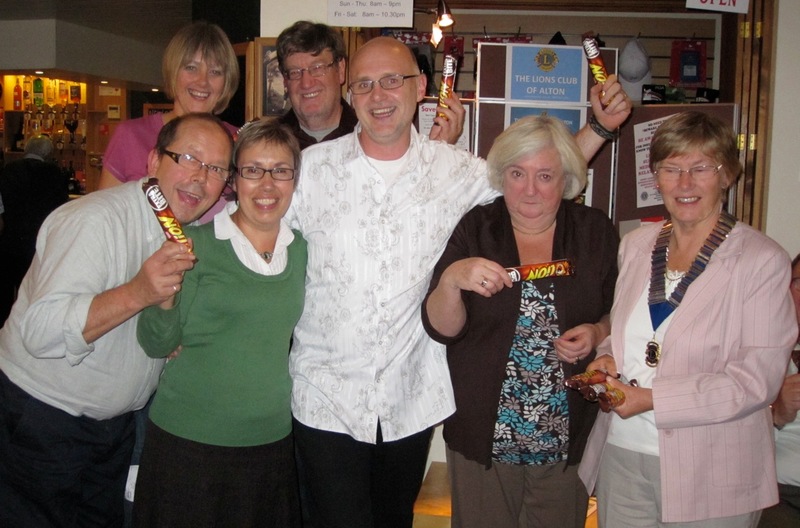 The winning team were “The Wise Old Owls’ and are pictured receiving their ‘first’ prizes of giant Lion Bars, the last team received traditional wooden spoons but did not want to be mentioned. The Lions Club will be making their traditional House to House collection in Four Marks in the second half of November to provide gifts to those in need or alone in Alton and district, to help make Christmas that bit more special than it might otherwise be.